A lot of rual and conservation land has been approved for residential development. A new State Plan has introduced policies that aims to protect good quality agricutural land from being subdivided. The mixture of rural land and rainforest separates the four villages along the Mission Beach coastline. The rural aspect of the area contibutes greatly to local identity, tourist appeal and to the relaxed village atmosphere. 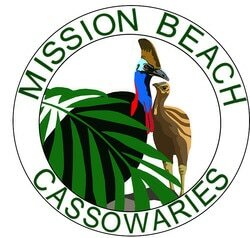 It also allows free movement in the landscape for the endangered Cassowary to access fragmented essential habiat. 40% of habitat at Mission Beach is not protected and a lot of it is on rural properties. Large areas of essential habitat have been cleared ahead of change in government policies and plans. Read more in an article by a local farmer and landholder published in the Mission Beach Bulletin.